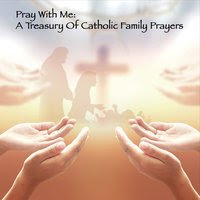 After that post, I received a request from a teacher for the rosary meditations. In addition, we have continued to make the back-to-school rosary an annual tradition in our home. So, it is my hope that this humble little project may bless another family as well. There are so many emotions that come with each new beginning. As a mom of five kiddos and a special needs student, I can say that I experience these emotions just as acutely as my kiddos sometimes. Will they fit in? Will they remain strong through struggles and avoid temptations? Will they stay focused and treat other students with kindness? We all need prayers. From the teachers (which include homeschool mamas), to the coaches, custodians, bus drivers and pastors. There is no weapon better to deploy for this mission than The Most Holy Rosary. 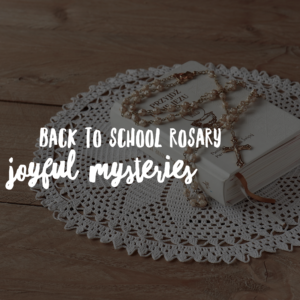 Click here to download the Back to School Rosary.